Carissa Klein is a Senior Research Fellow at The University of Queensland, working in the field of conservation science. She leads a group of students and post-doctoral researchers in partnership with numerous non-government organisations (e.g. Wildlife Conservation Society) and government departments (e.g., Sabah Parks in Borneo) around the world. Her team's research is motivated by real-world conservation management and policy problems. They specialise in integrating social, economic, and ecological information to develop solutions that improve outcomes for nature and people. We love all things ocean so tend to focus our effort on conserving marine and coastal ecosystems! Carissa has degrees in Chemistry (BA, 2000), Environmental Science (BA, 2000), Environmental Science and Management (MS, 2006) and Conservation Science (PhD, 2010). Her postgraduate studies were at The University of California, Santa Barbara and The University of Queensland. 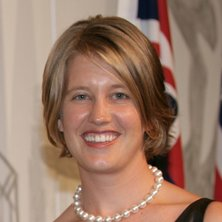 She has received numerous competitive awards, including two that acknowledge her achievements in setting up successful and lasting international collaborations: The Asia Pacific Economic Corporation Science Prize for Innovation, Research and Education (ASPIRE) and the American Australia Association Sir Keith Murdoch Fellowship. Wilson, Kerrie A., Cabeza, Mar and Klein, Carissa J. (2009). Fundamental concepts of spatial conservation prioritization. In Atte Moilanen, Kerrie A. Wilson and Hugh Possingham (Ed. ), Spatial conservation prioritization: Quantitative methods and computational tools (pp. 16-27) Oxford, U.K.: Oxford University Press. Where does river runoff matter for coastal marine conservation? Klein, Carissa, Watson, James, Halpern, Ben and McGowan, Jennifer (2015) What are we actually protecting in the ocean?. Ocean Views, . Can we determine conservation priorities without clear objectives? Carissa Klein (2010). Spatial Conservation Prioritisation Applied to Protected Area Design PhD Thesis, School of Biological Sciences, The University of Queensland. Training PNG Department of the Environment and Conservation Staff in Marxan (with a marine focus) and supporting the use of Marxan for conservation planning throughout PNG waters.